For Part 4 of our multi-part series, “It May Not Be the Adhesive!” we discuss how vacuum degassing can introduce contaminants into your mix – often unknowingly. 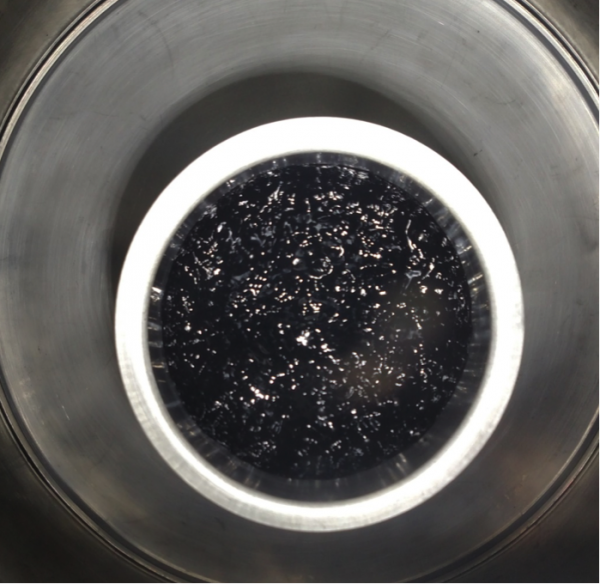 One thing we’ve seen on a regular basis is a messy vacuum chamber. Think of the microwave in your company’s cafeteria: due to daily use, it becomes covered in food spatters. If not cleaned regularly, it becomes pretty unsightly (ok, disgusting). The same thing happens with vacuum chambers: as adhesives are degassed, the walls of the chamber become covered in spatters. The problem here is that each time you degas a material, those spatters become potential contamination for future mixes. The picture below shows an adhesive under static vacuum in a clean chamber. When under vacuum, the adhesive will appear to boil until all of the trapped air expands and escapes. 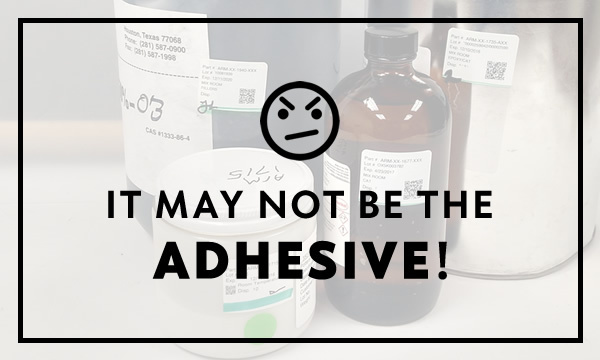 If the adhesive contains materials with low vapor pressure, too much vacuum may boil them off and your adhesive won’t have the correct properties to meet your requirements. After vacuum is achieved and your adhesive is fully degassed, you’ll need to bring the vacuum chamber back to atmospheric pressure. This process is where contamination can also occur: Opening the valve allows air to rush back into the chamber very quickly if you’re not careful. It exposes the adhesive’s surface to whatever atmosphere is outside the chamber – including humidity and particulates. It dislodges existing spatter or anything loose on the container walls or within the chamber creating a miniature storm. The fix is straightforward: To avoid this type of contamination, we recommend you perform regular cleanings of the degas chamber, use cold traps and particulate filters, and change the vacuum pump oil regularly.